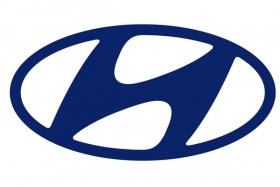 NEW YORK (Bloomberg) -- Hyundai Motor Co. plans to sell $1.17 billion of bonds backed by auto loans, according to a person familiar with the transaction, who declined to be identified because the terms are private. Banco Santander SA, Spain's biggest bank, plans to offer $700.5 million of similar securities, according to a person familiar with that sale. Asset-backed bonds linked to consumer loans are benefiting from limited issuance and minimal risk of getting hurt by negative news, Bank of America Merrill Lynch analysts said in an Aug. 13 report. Top-rated asset-backed bonds tied to auto loans yield about 62 basis points more than similar-maturity U.S. Treasuries, compared with 81 basis points on Dec. 31, according to Bank of America Merrill Lynch index data. Sales of debt tied to consumer and business loans are at $63.8 billion, compared with $115.8 billion during the same time frame last year, according to Bank of America.